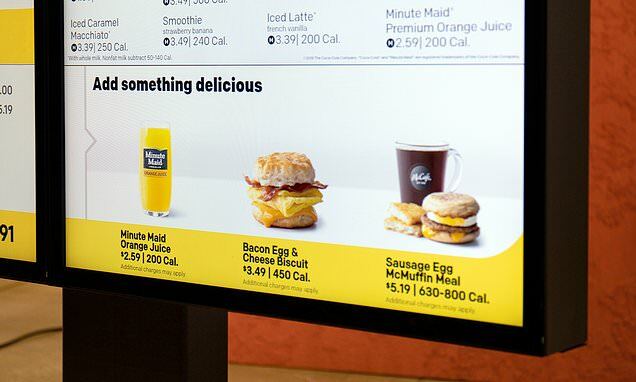 McDonald's is looking to supercharge sales by using A.I. backed software capable of tailoring products to customers in real-time. America's most iconic fast food chain announced that it has acquired an Israeli company, Dynamic Yield, whose software will use machine-learning to adapt digital menus to feature products based on time, location, preference, demand and more. The Wall Street Journal reported that McDonald's deal to purchase Dynamic Yield was closed at $300 million but neither company has confirmed. A representative did not respond to a request for comment before publication. According to Dynamic Yield, the software will be deployed both at McDonald's outdoor drive-thru menus, the restaurant's mobile app, as well as digital ordering kiosks within stores. On Dynamic Yield's website, the company describes a mix of services that employ data and analytics to measure and respond to consumer behavior and preference. Its testimonials boast substantial uptick in sales and engagement for brands in online retail and more. McDonald's says it plans to begin rolling out Dynamic Yield's technology at its stores this year.